Your Opinion, Please | STEP-Carefully! for Stepparents! This question came up after a rather passionate discussion of how parents and stepparents handled hard-to-control children. Some were vehemently opposed to any sort of “physical violence” such as spanking, slapping, or bodily lifting and placing a child in a chair. Their reasoning was that violence begets violence. If you teach a child that hitting is acceptable, that child will fall back on hitting when he or she is excited. The negative side of this group was that they admitted to far-too-often succumbing to the temptation to scream at their children to get their attention. Instead of grabbing Junior up from the TV and making him get moving, the tended to steadily increase from telling, to yelling, to screaming at him to move. They confessed they “lost it” at least once a week. The “spare the rod, spoil the child” group first categorically insisted they had specific guidelines regarding corporeal punishment: when, how, and why to spank or slap, and usually had a follow-up strategy. Their method is generally to avoid emotional outbursts and to administer fair amounts of physical discipline, from bottom swats, to hand slaps, to lifting and removing the child. Both sides were solid in their belief that theirs was the best way, and both had many examples of how well their own program worked for their children. But this was a fairly small group – only 6 couples. So I decided to expand this question. I’d like to know how most families deal with discipline/guidance for their unruly children. Please answer using the anonymous option on the comment page so there is no question of anyone getting in trouble. Other stepparents and biological parents are facing the same issues you are. I know they’d like to hear your opinions and your reasoning for your side. Helping stepfamilies succeed since 1996 – STEP-Carefully! is just for you! 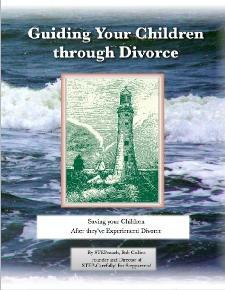 Previous Post25 Ideas that might make Life Easier…Next PostWhy so many divorces? As a step mum, I understand what your talking about. Me and my husband are a firm believer in calm rational behavior management. We do not hit/ spank etc but if a child was becoming physically naughty such as hitting/kicking/flailing their arms then we would pick the child up and remove then from the situation. Our little girl is now 4, she has always had clear boundaries and we are ever predictable in our reactions. She knows what we are going to do so doesn't act up to get a reaction. When she was smaller we used the naughty corner and now she is older though still used if severe sanctions are necessary we mainly get by with privilege removal. If she is bad we remove her daily screen time allowance, if it continues we move on to favorite toys or activities, culminating in removal of bed time stories and bed time teddy. If she's bad she knows she wont be allowed to go to the park, or play on her ds or watch her favorite show so its not often that she crosses the boundaries. Very much agree with anonymous. The #1 thing is having a united front where the parents are in total and mutual agreement and support of a set of rules, boundaries, and effective punishments. The #2 thing is consistency, consistency, consistency. #3 thing is keeping your emotions to yourself and keeping a clear head as to what may be really going on. A lot of those parents who think they are on a high road above those parents who spank need to be informed that they are doing much worse in reality. Screaming and losing it with the kids is called verbal and emotional abuse, far worse in the short run and damaging in the long run than losing your temper and swatting or spanking. Funny you bring this up when I just read an article last week regarding this. New to your blog~love all the info I have gleaned so far. Totally agree with previous poster~on united front, consistency & keeping your own emotions in ck. As a stay at home mom the last is the hardest for me, so I decided several years ago that I didn't want to be a spanking mom. However, I learned 2 things. One~sometimes the kids' offenses (we have 4) warranted something beyond a time-out or grounding and two that I was becoming a “yelling” mom.